Located slightly south of Santa Fe, New Mexico, the Rancho Viejo community is an excellent place to call home. Comprised of distinct villages and preserved open space, this community boasts a wonderful location, access to plentiful entertainment opportunities, fantastic residences, and much more. Homes for sale in this community include single-family homes and estates, and you are sure to find something that piques your interest. Furthermore, you choose to live in this community, you will not struggle to find enjoyable activities to fill your free time. Whether you are interested in nature, the arts, or metropolitan life, you will find activities that will complement your favorite pastimes. Available properties in Rancho Viejo are ready to impress you, so now is the time to consider what it would be like to live in this community. When you choose to live in this community, you will find ample entertainment opportunities practically right outside your front door. For example, you may choose to chat with your friendly neighbors at the central plaza of your village within the Rancho Viejo community. You may also choose to soak in the warm sunshine in one of the nearby parks or natural areas. Hiking, strolling, and biking are all excellent options to spend time outdoors appreciating the natural beauty of the area. You may also choose to travel the short distance to Santa Fe. Interesting museums, impressive art galleries, and excellent restaurants are only a small sampling of attractions in this vibrant capital city. Because this city is known as an arts hub, you will also have many opportunities to appreciate a wide variety of artwork, particularly at local festivals. No matter where your adventures lead you, you will be content to think of your lovely Rancho Viejo single-family home awaiting your return. A convenient location, stunning natural beauty, and welcoming neighbors ensure that you will enjoy living in this community. Homes for sale in the Rancho Viejo community are ready to pique your interest, and you are sure to find something that suits your style. 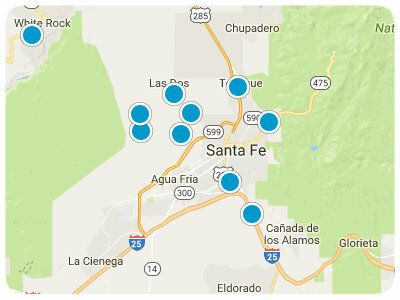 If you are ready for more information regarding Rancho Viejo, Santa Fe, real estate options, please do not hesitate to contact us.